In a two-day agenda, honoring the Mediterranean region, prestigious economists, Ministers experts and leaders from industries and the private sector, gathered to debate the future of political economy and monetary policies in Europe. The session “for an area of stability and prosperity in the Mediterranean” chaired by Michèle Alliot-Marie, French Minister of State, Minister of Foreign and European Affairs and Taieb Fassi-Fihri, Moroccan Minister of Foreign Affairs and Cooperation, counted with outstanding speakers . Alongside Secretary General Ahmad Masa’deh, Tarak Ben Ammar, Businessman and producer, Avishay Braverman, Israeli Minister of Minorities , Henri Guaino, Special Advisor to the President Nicolas Sarkozy and Gérard Mestrallet, CEO of GDF-Suez, presented their vision for a future of prosperity in the region, filled with many opportunities indeed, but with important challenges. The different speakers stressed that the time of dialogue has been over-consumed. All the stakeholders have gone through a large amount of conferences, meetings etc. to exchange their ideas and views on projects and project strategies under various framework and institutional patronage. However, they agreed on the need to act more practically from now on, to go beyond dialogues concentrating on investment and action. 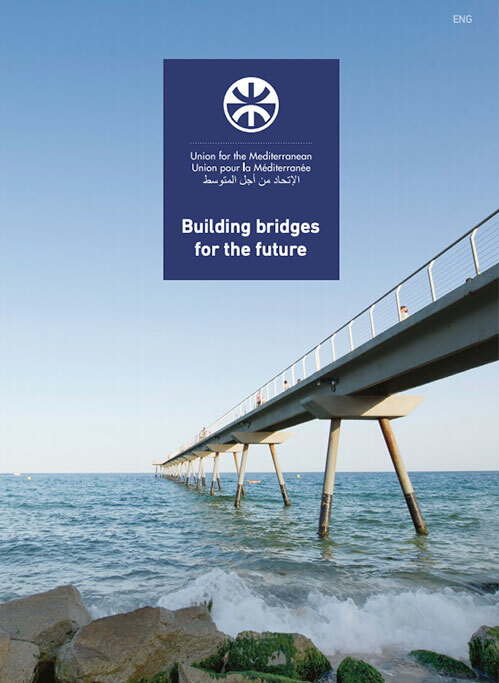 Considering the consequences of the economic crisis, Mediterranean region must create a block, with northern countries understanding the benefits of southern countries’ growth, enhancing transfers of technologies and expertise from the North. Henri Guaino reaffirmed the importance of building a common area, despite the skeptic ambiance. Mediterranean countries “are not our neighbors, they are family”, he said, referring here to the European Union Neighborhood Policy. He also added that the citizens of the Mediterranean feel that the big lake is a common heritage, not a border. In his forthright intervention, Secretary General Ahmad Masa’deh proposed a concrete strategy for the Mediterranean emphasizing on strategic factors and imperative points to succeed in Mediterranean cooperation and integration. Secretary General Masa’deh presented the eight factors on which the future of the region is depending : globalization leading to competition; a regionalization process with many organizations around the world (EU, ASEAN etc. ); the widening gap between the North and the South of the Mediterranean, including leader southern countries such as Jordan and Morocco; the Arab-Israeli conflict, which remains a core issue to succeed in the cooperation, reflecting on the view of his co-speaker the Israeli Minister for Minorities Avishay Braverman who called for leadership in order to achieve peace; the overlap between processes and stakeholders, with the need to unify actions and decisions; the preference for bilateral agenda instead of multilateral agenda and projects; the lack of leadership. He also added that he regretted the lack of trust among people, in addition to the lack of beliefs in the ability of these processes to deliver good and practical results for the region. Consequently, he called for the adoption of a Mediterranean Strategic Plan for all the UfM countries. It would be a common concrete strategic document which would nurture a culture of cooperation among countries, focusing on South-South integration, implement an active strategy on the ground as a “shocking machine” aimed to stick out the current transitional approach reaching its limits. 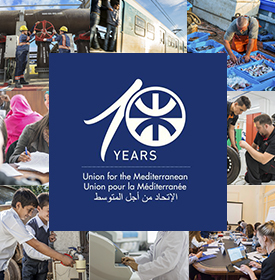 Masa’deh further reaffirmed the need for Political transitions and processes in southern Mediterranean countries with a democratic approach adapted to countries specificities which must empower a strong civil society (Medias, NGOs, youth and women). Those political processes won’t be possible without economic transition towards a private sector based economy. Addressing European Union leaders, Secretary General Ahmad Masa’deh finally called for two changes: First, for the EU to invest more in its multilateral envelops, beyond the Neighborhood policy instrument (ENPI) from which only a small percentage is dedicated to regional project; second, to end the unequal relation created by the “aid and funding” culture, towards an equal way of thinking exchanges between both shores, with investments and transfers.